NEW DELHI: All India Football Federation congratulated Real Kashmir FC for clinching the 2017/18 Hero 2nd Division League. In the process, they became the first Club from Kashmir to have qualified for the premier league of the Country, the Hero I-League. 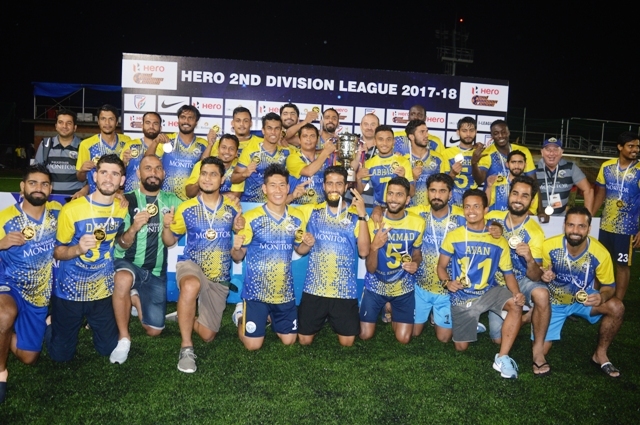 Real Kashmir FC defeated Hindustan FC 3-2 at Bengaluru’s FSV Arena today (Wednesday, May 30, 2018) to finish their final round campaign with 7 points from 3 matches, 3 ahead of Hindustan FC.